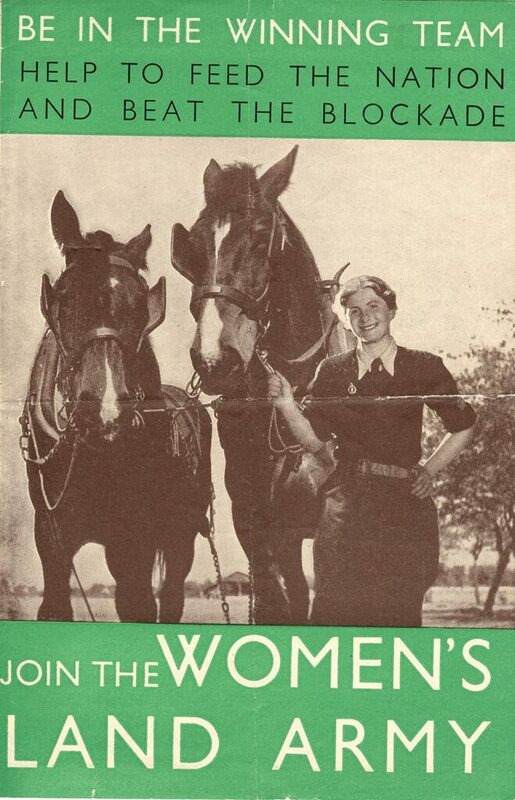 In May 1946, Iris Dixon joined the Women’s Land Army. Owing to a poisoned arm, she stayed in the WLA for just 5 months. However in this time, she experienced the joys of wearing a uniform for the first time, close friendships, and lots of hard work. Ruth Wood, recorded the memories of her late [ex] mother-in- law and has shared them with us below. Take a read and follow Iris’ whirlwind 5 months working on the land. As the train drew into the station, a big steamer, taking me to what and who knows the adventures yet to come. In my new uniform of the Land Army with the baggie trousers and a big coat, smartly cream shirt and a nice green pullover. Having been told to look for girls dressed the same, found myself smiling at little Gladys, who was to become a true friend, we was to be constantly [at] one another’s side. The journey didn’t seem to take all that long to Suffolk but found myself in a big manor house at Sutton Hoo [famous for the find of Viking treasures]. The rooms of the house were set up with bunk beds with ten girls in our bedroom. I made friends with Joyce and Gladys and a little cockney girl called Pat. [There was also a room] for the boys. The other girls were from Newcastle and Sunderland and I was not used to the accents. How friendly I got with Gladys I’m not sure, but she had no parents and just one brother living in the East End of London. We had two sort of Matrons that would look after us and it was one of these who sent me home with the poisoned arm. Land Girl re-enactors holding a sack of potatoes. We had some great times together, and we were the fastest working potato pickers, often going to farms on request to help the farmers. By this time, she [Gladys] had met her Wally. He was really in love with her and always asking to marry her but asked my advice as he had a weak heart but happy to say that they did marry and before we lost touch had a little girl called Glynis. I should have gone to the wedding but had come away from Woodbridge, and never ever got to go. Some of the times on the field were really good, we would wait for the old coach to come to collect us. The seats were taken out so we would have to sit on the floor. All the time we were travelling we would sing all the army songs we had picked up and most of the old music hall ones. We were dressed in brown coloured bib front overalls, wellies turned down and a blouse with a turban scarf or gypsy scarf as it was a hot summer and was to protect from the sunshine. We would hoe sugar beet, it taking three rows for cutting out, and about thirty of us would do the fields. When your row was finished you would go behind the other girl. 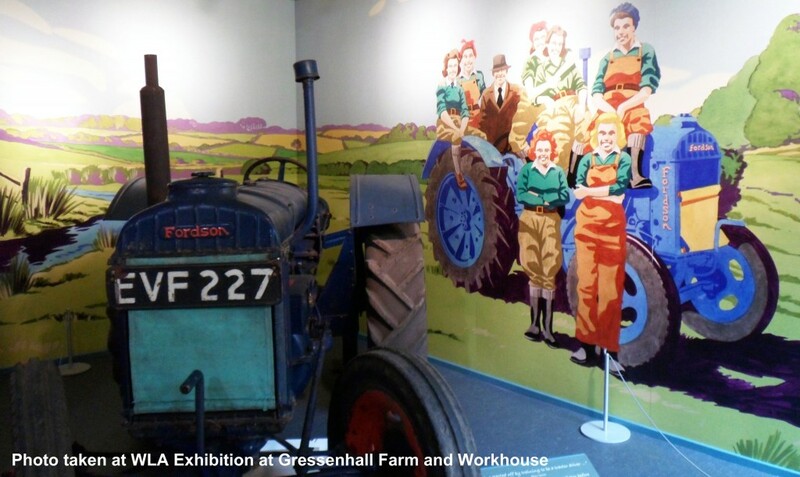 Other jobs we did were stoking, which meant getting the hay when it came off the thresher. Four girls would stand the [stacks] up and would return another day to turn them round. Potato picking would be working behind a tractor as they turn the potatoes up. You would work in a gang to gather them and put them in buckets then fill the sack. The hardest job I found was pitching with a pitch fork when picking beans. We would put all our lunch boxes together then discover that they were running alive with ants so we all had a good meal of fresh potatos and carrots. We had a good meal when we got back to the hostel ie the Manor House where we relaxed in the big hall and played games. The RAF men would come in and play table tennis and cards. We also worked with German and Italian prisoners of war. The Germans were haughty and would look down at you. They [prisoners of war] had a big moon shaped patch on the back of their clothes. All round the hall were the oak panels and the fire place was so big that you could sit inside. There was a huge marble like one with the fire in a basket [small grate]. A lot of people had carved their names on the fire place. Our bedroom had a lovely bay window [with a window box] over-looking the grounds. Ruth Wood, written in the 1980s.